Signing up for Hosted Adsense Accountis easy. You will get approved easily compared with normal adsense account. Normal adsense account is not that easy to get nowadays because of too many updates on Adsense TOS lately that is why I advise that you should try hosted adsense account as an alternative and the best option for you while waiting for the chance to be approved with the original adsense account. The key is upgrading and I do believe that you like this term so much. You have to upgrade from hosted adsense account to normal adsense account if you would like to increase your profit online using adsense program. This article aims to help you with your struggle to upgrade. Once you have upgraded, you will have to put the codes on your different sites. Yes, you can make use of multiple sites for this program. Pay attention to the tutorial and read between the lines. The first part is by knowing about the program and then we will go to the tutorial proper on the latter. Just stay patient and you will reap rewards. This is your total guide to becoming a successful adsense program user.. Hosted Adsense account are those account that got approved using hosted websites like; blogspot, youtube, and hubpages, wherein you can only install your adsense code on those hosted websites only. What is Normal Adsense Account? Step 2. Go to "Allow & block ads"
Step 5. Go to "Access and authorization" input your custom domain on the box following "I will show ads on:" then click submit. Step 6. Affter clicking "submit" the page will show stating same as below..... Then Click "My ads" to create ads unit for your submitted custom domain to start sending impression to your hosted adsense for them to check your upgrade for approval. Important: In order for your application to be reviewed, you must place your ad code on one or more webpages at the URL you entered in your upgrade application. Note that blank ads will be shown until your application is approved. Once your application has been approved, you may place your ad code on any website that you own without any further approvals. If your application is disapproved for content reasons, you will still be able to show ads on host sites and may apply again in the future. Step 7. 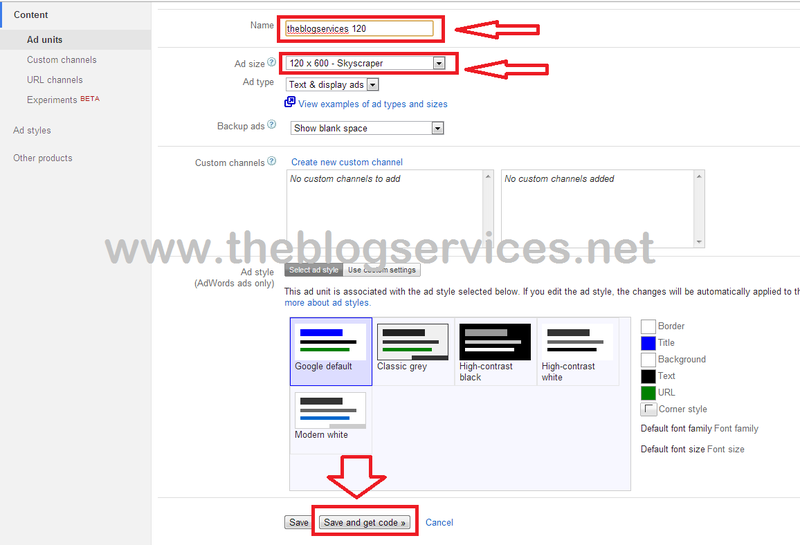 Create ad unit for your custom domain applied for you adsense account upgrade and install it to your site. Google will manually review your application in few days to week and you’ll get email about approval or disapproval. Note: Don't be worry if you got rejected on this upgrade because you hosted adsense account will not be affected and you can still use it for your hosted blogs and you can do upgrade anytime you want. Thank you very much for this very helpful guide. I really learn allot from your blog :) keep it up po. I Have Done All These Process..
Have you installed any ad code from your hosted adsense into that custom domain? make sure you have done it correctly and you install a newly created ad code and your site must have impression for them to check your site. Impressions for them means? I can't understand please let me know what impression on codes means I mean when codes are pasted and not approved they are black area and one can't click on them. Please tell me dude.thanks in advance. Impression means views on your site. if you did installed your hosted adsense code on your custom domain the ads will not show until your adsense upgrade has been approved (if you did apply for upgrade on your hosted account). 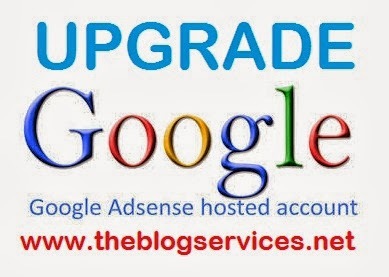 If you didn't do upgrade yet do it now if you wish to use your adsense into a custom domain. Take note that hosted adsense can only be used to blogspot, hubpages and youtube only. I am try to updating my Hosted Adsense Account, but always getting same message "your site not comply with policy", so please provide help on getting Adsense Account Hosted to Normal. You have to make sure that all of your blog post are original. 15-20 original articles with one niche have higher chance to get approved on your hosted adsense upgrade. Site with PR is a plus. You didn't do wrong, if you seen that notification about get review thing that means your upgrade is not yet approved. You have to wait until they do review on your site, they will email you about the result of your hosted adsense upgrade in 1-2weeks upon the date you applied for upgrade. If the message still showing on your adsense dashboard stating that you should implement adcode which you already did, it only means that your requested upgrade is not yet reviewed. Wait more days. 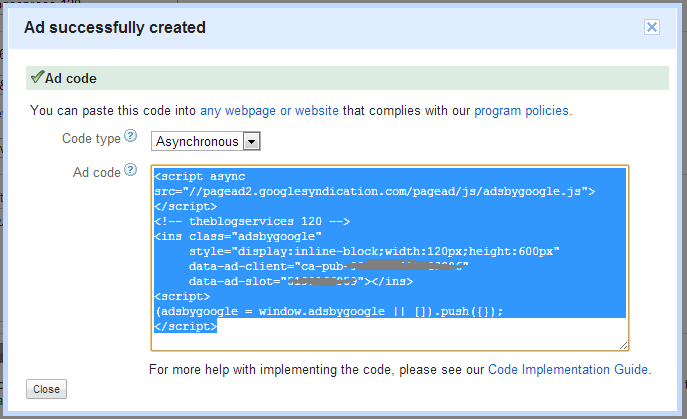 Instead of implementing ad code I did add an Adsense Gadget in my blogger. Is it a correct procedure?? Yes that is okay, hope you'll get approved too. Happy Blogging! how to show hosted account ads on blogspot ? Here's how to shoe ads from hosted adsense to blogspot. I follow your instruction to apply the ads into my blogspot already but it doesn't show any ads in my blogspot (blank space). hmmm i use YOUTUBE channe to create my hosted adsense account. I upgraded my blog to .com domain and ads stop showing on my blog. I tried your advice with my already ads code on my blog but they denied my application. Should i create new ads unit to my blog and delete the old ones?